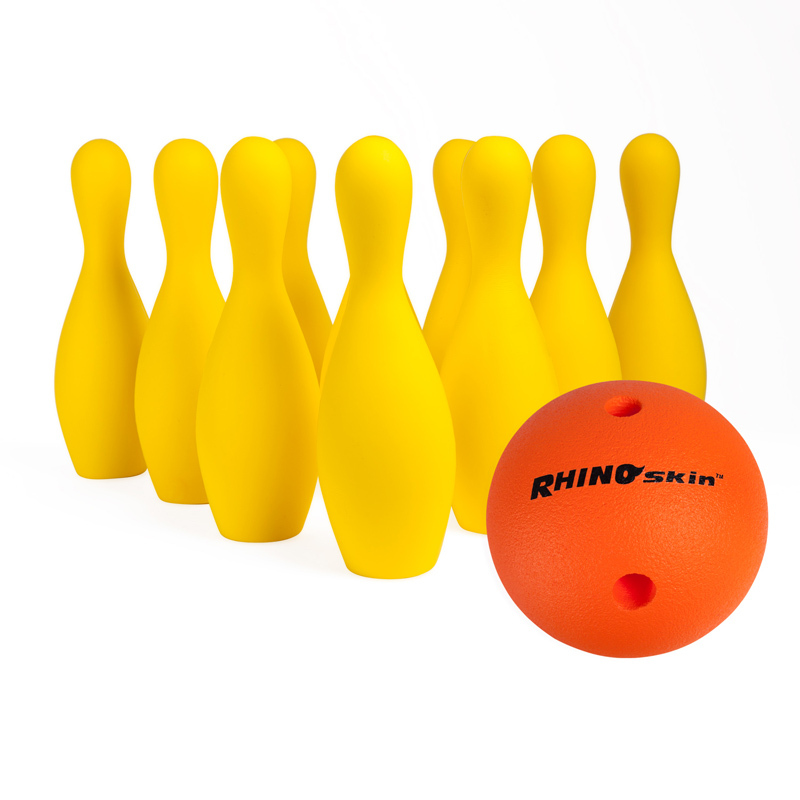 The Champion Sports Rhino Skin® Foam Bowling Set is fun for everyone to bowl safely indoors or outdoors. Made with our tough Rhino Skin® coating, this set resists peeling, cracking, and moisture so you can be sure it will last! 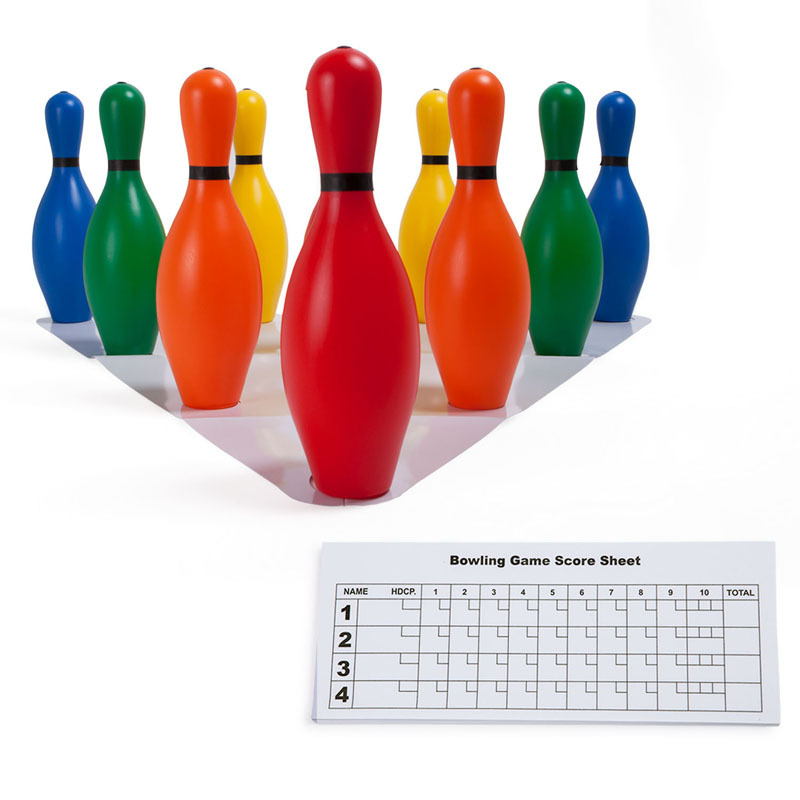 This bowling set includes ten weighted Rhino Skin® foam pins and includes a Rhino Skin® 1.5lb weighted foam bowling ball. 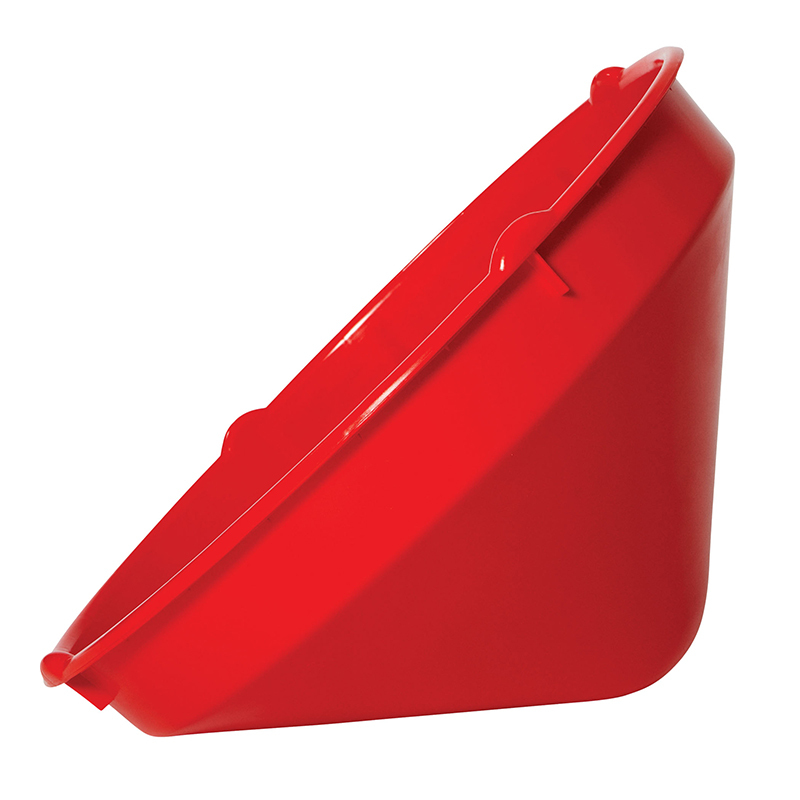 A convenient carry bag is included for storage and transport. 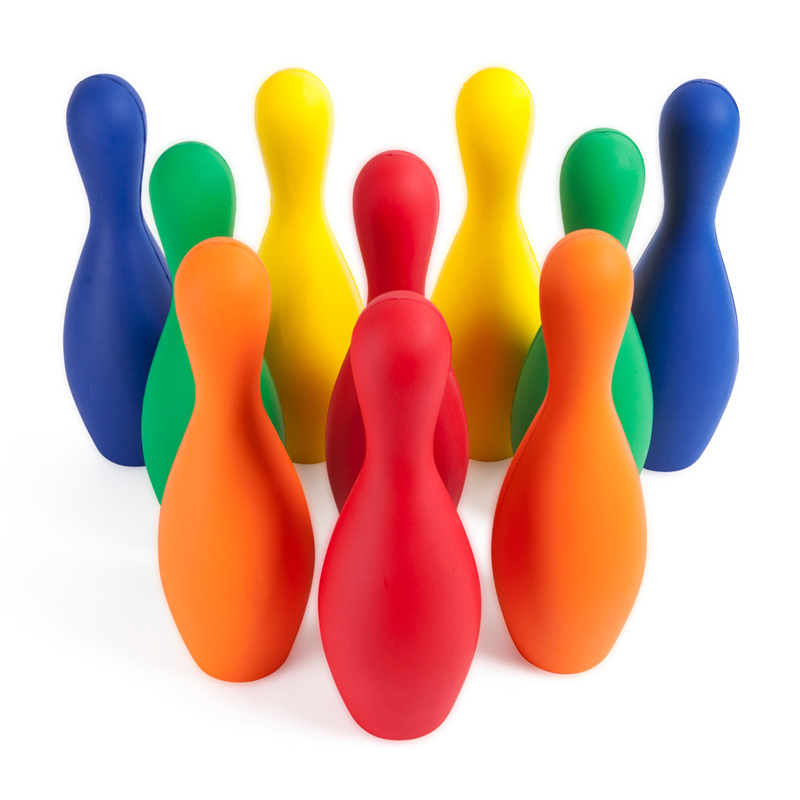 The Bowling Ball Set Foam Ball Pinsstorage Bag can be found in our Toys product category within the Active Play.